Eric Lauer pitched into the 9th, finishing with 8 2/3 innings, 1 run and 4 hits while striking out 8 Dodgers and earning the 4-1 victory for the Padres. Marcus Stroman threw 7 strong innings, allowing 1 run and striking out 5 Atlanta batters to get the 6-2 decision in Toronto. Kolten Wong doubled, homered and added 2 more hits in the Cardinals 14-2 thrashing of the White Sox. Manny Machado homered twice, singled and was walked during the Orioles dramatic 9th inning where they walked off against the Yankees, 6-5. 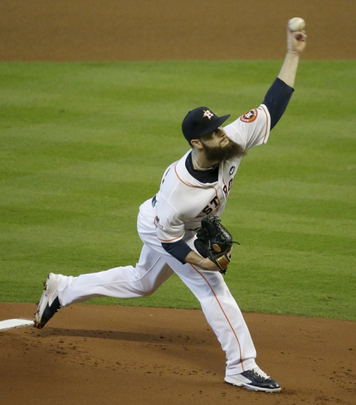 Evan Gattis reached base 4 times, homered, drove in 4 and scored 2 as the red hot Astros clobbered the White Sox, 11-4. Jesus Aguilar singled, doubled and hit a 3 run homer to lead the Brewers past Atlanta, 5-4. Jordan Zimmermann struck out 11 Rangers in 8 innings, allowing 4 hits and a single run to earn the 3-1 decision for Detroit. Jacob deGrom was brilliant again, giving up one run over 8 innings and striking out 8 Tampa Bay batters. He did not get the win but he set up the Mets 5-1 walk off victory. Ivan Nova threw a complete game, allowing 1 run and 6 hits to give the Pirates a much needed 4-1 victory over the Reds. Hernan Perez collected 4 hits, stole a base and drove in 3 as the Brewers topped St. Louis, 12-5. Nick Vincent worked out of a 7th inning jam and through the 8th, keeping the Rangers from scoring and pitching in to the Mariners 6-3 final. Brian McCann homered twice and singled in the Yankees 5-4 walk off win over Tampa Bay. 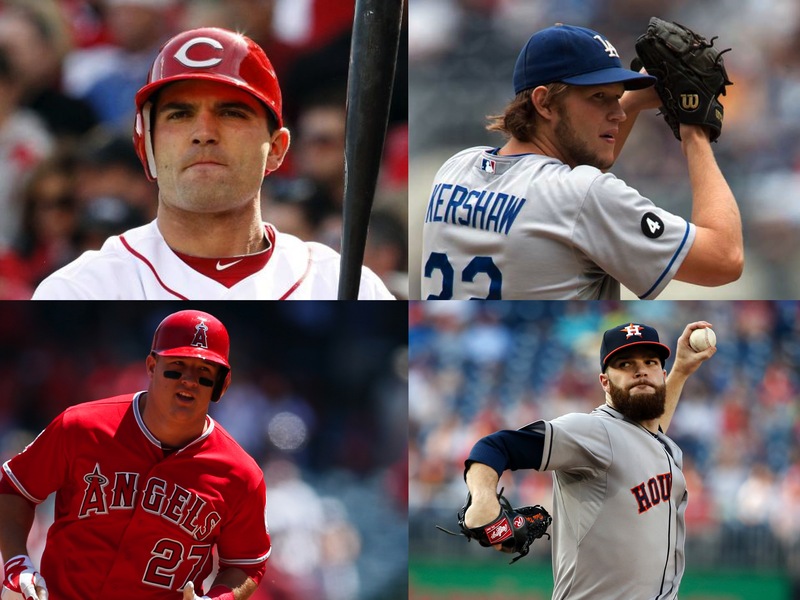 They all owned baseball on September 8, 2016. The Royals earned their crown as 3 of their 4 World Series wins were won in the 8th or later. Now comes for the final entry of Who Owns October and Who Owns the World Series. At the end of the post season, we will see who had the highest WOO total as a pitcher and a hitter. The WOWS total will be kept separately. Each game now counts towards both tallies. Luke Hochevar gave the Royals 2 critical shutout innings in the 10th and the 11th where a single Mets run would have forced a game 6. 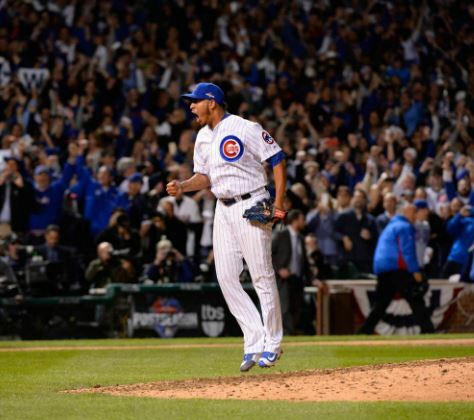 He allowed no hits and walked just 1 and earned the World Series clinching victory in relief for Kansas City, 7-2. Eric Hosmer broke the Mets shutout with a double in the 9th and dashed home to score the tying run on a wild play with 2 outs in the 9th. Curtis Granderson led off the game with a homer and later scored on a sacrifice fly. In the end, the Mets would collapse in the 9th and lose in the 12th to the Royals, 7-2. Matt Harvey took a World Series saving shutout into the 9th inning, striking out 9 along the way. He finished with 8 plus innings, 5 hits, 2 runs and 2 walks but would get a heart breaking no decision as the Royals rallied to beat the Mets in 12 innings, 7-2. Trick for the Mets! Treat for the Royals! It is Halloween Baseball! We have ourselves a World Series. And now the Sully Metrics of October get a little more complicated. I will continue to figure out Who Owns October.Time to figure out who owns October! Wade Davis continued his post season dominance with 2 shutout innings (plus an at bat) to shut down the Mets and earn the save in Kansas City’s 5-3 win. Salvador Perez went 3 for 4 with a double, scored in the 5th and drove in a critical insurance run in the 8th to lead Kansas City to a stunning 5-3 win over the Mets. Michael Conforto launched a pair of homers that put the Mets ahead. But the bullpen and defense would conspire against him as the Mets lost to the Royals, 5-3. Noah Syndergaard did not have his ace stuff but pitched well enough over 6 innings with 6 strikeouts to earn the 9-3 decision for the Mets over the Royals. 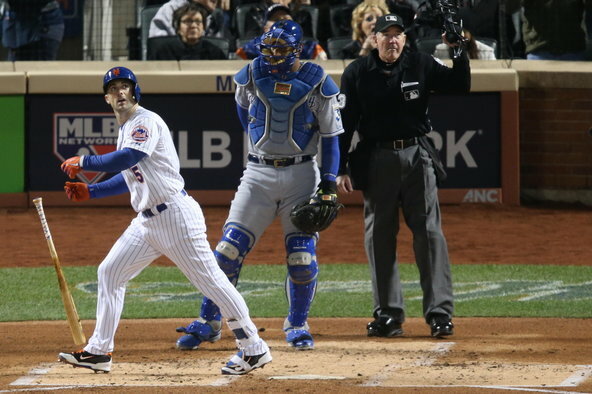 David Wright hit a 2 run homer and a 2 run single to lead the Mets to a critical 9-3 victory over the Royals. 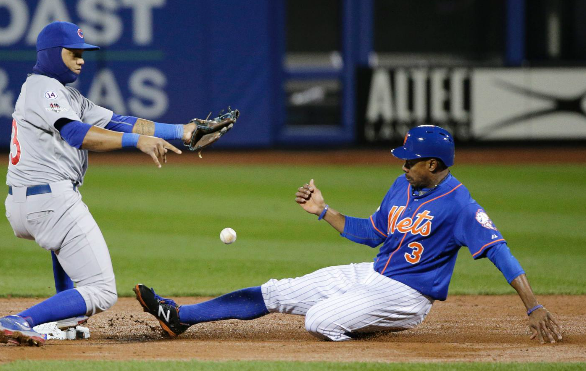 Salvador Perez reached base twice and scored a run in the Royals 9-3 loss to the Mets. The Royals are in control! And now the Sully Metrics of October get a little more complicated. 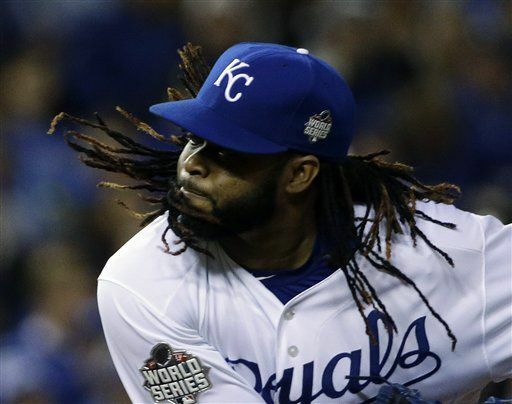 Johnny Cueto pitched the first AL complete game victory in the World Series since 1991, allowing 2 hits and 1 run and giving a weary bullpen the night off as the Royals cruised to a 7-1 victory over the Mets. Alcides Escobar tied the game with an RBI single and broke it open with a 2 run triple to lead Kansas City to a 7-1 thumping of the Mets. Lucas Duda was the Mets offense, collecting their only 2 hits and driving in their only run as they got crushed by the Royals, 7-1. The World Series has begun! And now the Sully Metrics of October get a little more complicated. Chris Young came out of the bullpen to throw three no hit shutout innings, walking 1 and striking out 4 Mets, earning the 14 inning 5-4 Kansas City victory in relief. Ben Zobrist reached base 4 times, including a pair of doubles, a run scored and a 14th inning hit that put the winning run at third with nobody out. 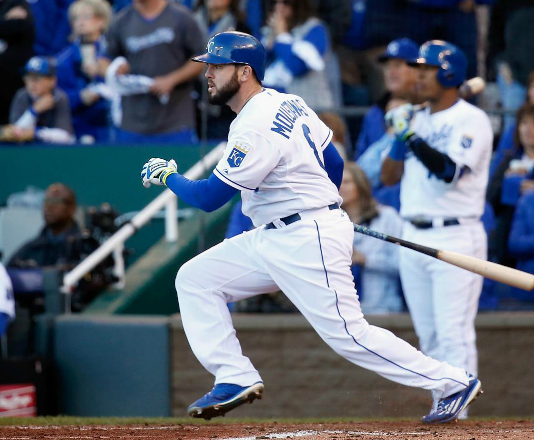 The run would come into score eventually and the Royals took game 1, 5-4 over the Mets. Daniel Murphy saw his home run streak end but he got 2 more hits and scored a run in the Mets 5-4 loss to Kansas City. Jonathon Niese threw a pair of dynamic innings out of the bullpen, striking out 3 Royals and allowing just 1 hit and no runs. The Mets would lose 5-4 in 14 innings. The World Series match up is set. The Royals and the Mets will face off. Time to figure out who owns October! Wade Davis threw the final 1 2/3 innings, striking out 3 Blue Jays, earning the decision and closed out the ALCS with a 4-3 Royals clincher. Mike Moustakas homered and singled, scoring a pair and made some sparkling defensive plays to lead the Royals past the Blue Jays, 4-3. 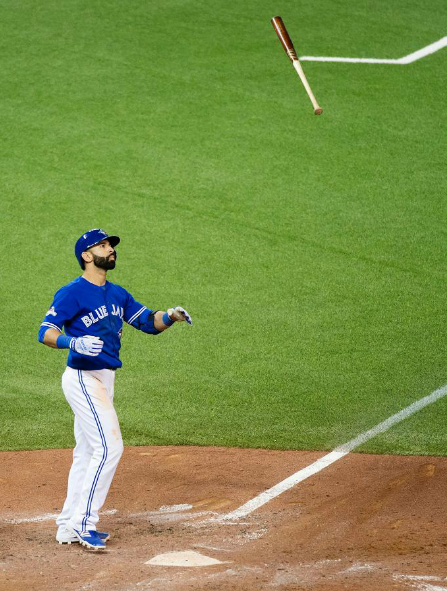 Jose Bautista homered twice including a dramatic game tying shot in the 8th inning. 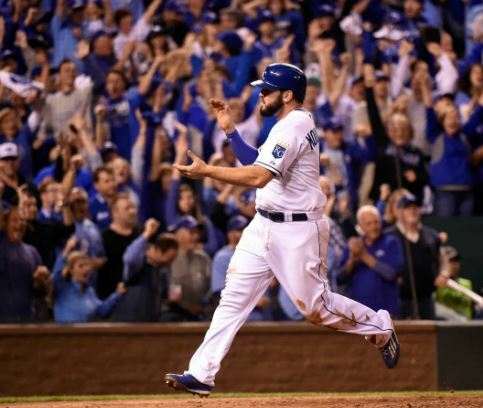 It would not be enough as the Royals came back to beat Toronto, 4-3 and advance to the World Series. David Price gave the Blue Jays a quality start, pitching into the 7th, striking out 8 and walking 1. He did not get a decision as Toronto was eliminated by the Royals, 4-3. One LCS is done and the other will see another day. Lucas Duda homered and doubled twice, driving in 5 and putting the Cubs on their heels from the start and set up the Mets 8-3 pennant clincher against the Cubs. Marco Estrada kept the Royals off the board until the 8th, finishing with 7 2/3 innings, 3 hits, 1 run and 1 walk and kept the Blue Jays alive with a 7-1 victory over Kansas City. Steven Matz kept the Cubs off the board early while the Mets put together a big lead. He did not get the decision but he set up the Mets 8-3 win. Troy Tulowitzki went 2 for 4 with a bases clearing double that propelled the Blue Jays past the Royals, 7-1. Salvador Perez homered to provide one of the few Royals highlights in their 7-1 loss to Toronto. Jorge Soler singled and doubled twice, scoring 2 runs. But it was not enough as the Cubs lost 8-3 to the Mets. 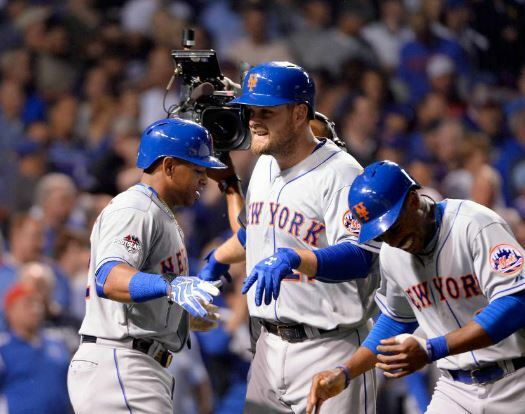 The Mets and Royals are on the verge of winning their pennants. Lorenzo Cain reached base 4 times, stealing a base, scoring a run and drove in 3 as the Royals clobbered the Blue Jays, 14-2. Yoenis Cespedes collected 3 hits, including a double, stole a key base and scored the go ahead run on a wild pitch and drove in 2 other runs to lead the Mets past the Cubs, 5-2. Jacob deGrom -threw 7 strong innings, striking out 7 and allowing 2 hits to earn the 5-2 decision for the Mets over the Cubs. Chris Young allowed just 3 hits and 2 runs to the mighty Blue Jays. 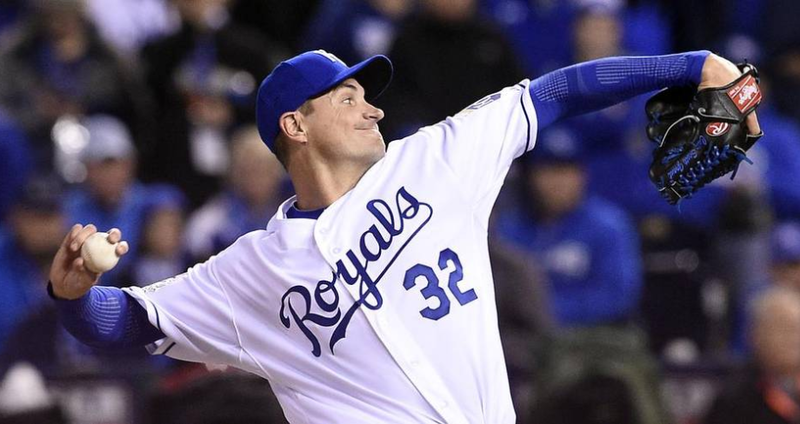 He didn’t pitch enough to get the decision but helped set up the Royals 14-2 blowout victory. 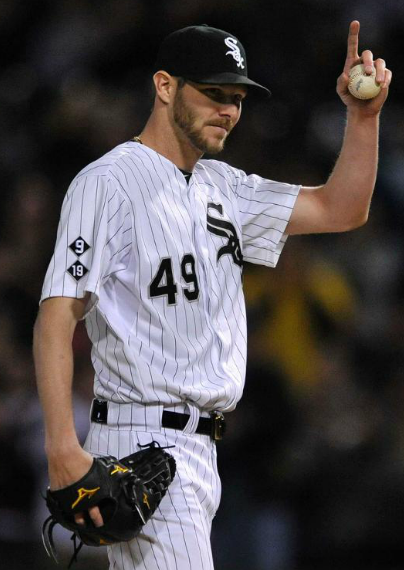 Liam Hendriks did his best to keep Toronto in the game with 4 1/3 shutout innings, 1 hit and no walks. But the damage had been done and the Royals won, 14-2. Ben Revere reached base 3 times and scored in the Blue Jays humiliating 14-2 loss to Kansas City. 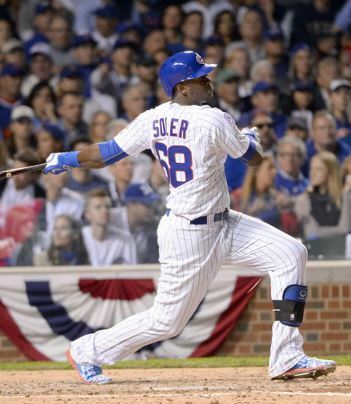 Jorge Soler crushed a game tying homer in the 4th but the Cubs would eventually fall to the Mets, 5-2. Thankfully the Blue Jays have decided to show up for the ALCS. No sweep this year. Marcus Stroman did not have his best stuff but battled into the 7th inning, allowing 4 runs and 1 walk and earning a much needed 11-8 win over the Royals in Toronto. 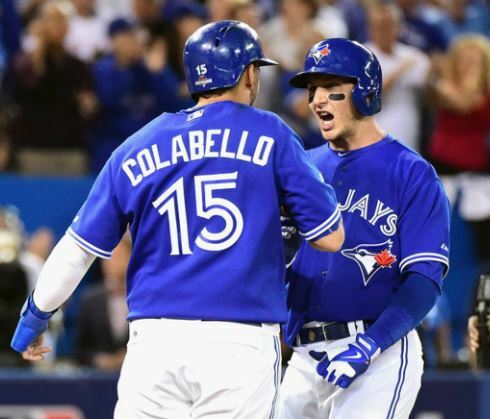 Troy Tulowitzki got a pair of hits including a game busting 3 run homer that helped the Blue Jays top the Royals 11-8. Alcides Escobar led off the game with a triple and would score. He would finish with 4 hits and 3 runs scored but the Royals would fall short to Toronto, 11-8. Curtis Granderson singled and walked, stealing 2 bases, scoring twice and stole a home run with a highlight reel catch to lead the Mets to a 4-1 victory over the Cubs. Noah Syndergaard struck out 9 Cubs batters over 5 2/3 innings, allowing only 3 hits, 1 run and 1 walk, earning the 4-1 decision for the Mets. Dexter Fowler reached base 3 times and scored the Cubs only run in their 4-1 loss to the Mets. The ALCS and NLCS are both on their way! Matt Harvey pitched into the 8th, finishing with 7 2/3 innings, 2 runs, 4 hits and 9 strikeouts to beat the Cubs 4-2 and give the Mets a 1-0 lead in the NLCS. Kelvin Herrera gave the Royals the shut down inning they needed by striking out a pair in the 8th and setting up the 6-3 win against the Blue Jays. Mike Moustakas tied the game with an RBI single and opened it up with another run scoring hit in the 8th to help the Royals come from behind against Toronto, 6-3. Daniel Murphy homered to give the Mets an early 1-0 lead and made a diving play to end the 4-2 victory over the Cubs. Starlin Castro hit a game tying double in the 5th but it would be as close as the Cubs would get as they fell to the Mets, 4-2. Jon Lester pitched into the 7th and kept the Cubs in the game. But the Mets would get to him and Lester would be saddled with the 4-2 loss. Troy Tulowitzki went 2 for 4 including an RBI double in the Blue Jays 6-3 loss to the Royals. OK, not the most thrilling start to the ALCS, but I doubt KC fans mind. 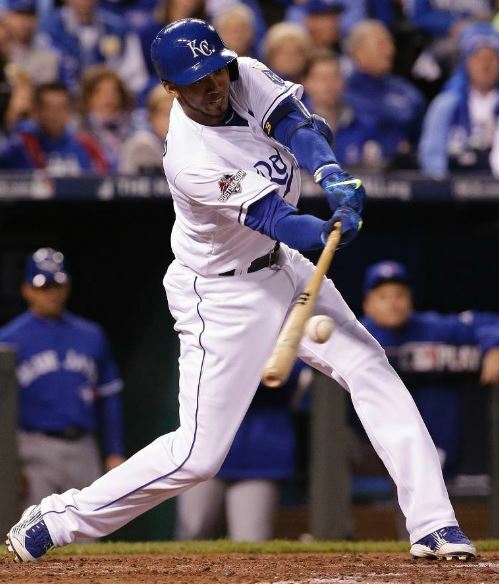 Alcides Escobar smacked a pair of doubles, driving in one and scoring twice in the Royals 5-0 blanking of Toronto. Josh Donaldson singled and walked but could not be driven home as the Blue Jays were shutout by Kansas City, 5-0. That is your Division Series round. Not a bad opening act! Jacob deGrom did not have his best stuff but he gutted his way through 6 innings, striking out 7 and allowing only 2 runs to earn the Mets series clinching 3-2 win over the Dodgers. Daniel Murphy pulled off the gutsy steal of third that set up the tying run and then homered off of Greinke for the go ahead run as the Mets stunned Los Angeles 3-2 and won the Division Series. Zack Greinke pitched into the 7th and finished with 9 strikeouts and 1 walk over 6 2/3 innings, allowing just 3 runs to score. 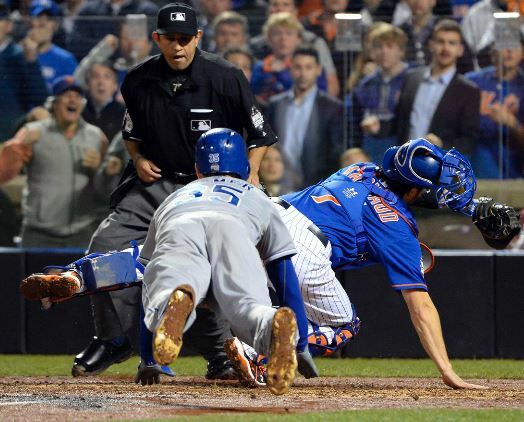 He would be saddled with a tough luck 3-2 loss as the Mets eliminated the Dodgers. Justin Turner capped a brilliant Division Series with 3 more hits, including 2 doubles, and a stolen base to finish with a .526 average. 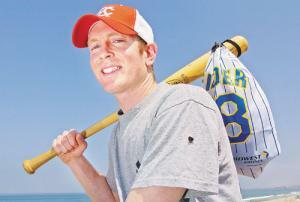 He would be stranded each time he reached base and the Dodgers lost 3-2 to the Mets. A throw back from the catcher gone wrong, Canadians gone nuts, Rangers infield gone bad and a bat flip heard from Canada started the day. Johnny Cueto adding tens of millions of dollars to his off season value ended the day. The ALCS is set and the state of Texas has a lot of reasons to be sad. Johnny Cueto retired the last 19 batters he faced, going 8 innings, with 2 hits, 2 runs and 8 strikeouts to clinch the Division Series for the Royals, 7-2 over the Houston. Jose Bautista doubled home a run and then hit the tie breaking dynamic three run homer that led the Blue Jays to a hair raising 6-3 Division Series clinching win over the Rangers. Alex Rios singled and hit a go ahead 2 run RBI double in the 5th that put the Royals up for good to beat the Rangers, 7-2 and win the Division Series. Marcus Stroman pitched 6 strong innings, allowing 2 hits, 1 walk and 4 strike outs. He did not get a decision but set up Toronto’s 6-3 clincher over Texas. 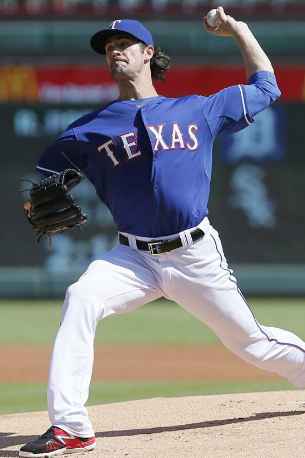 Cole Hamels pitched into the 7th, allowing 2 earned runs over 6 1/3 innings, striking out 8. 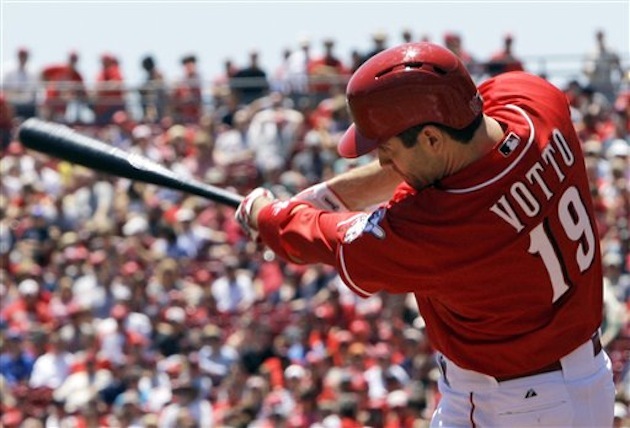 The Rangers errors were his undoing as he got a hard luck 6-3 loss in Toronto. Rougned Odor collected 2 hits and alertly scored on a deflected throw from the catcher and briefly gave the Rangers the lead. The Blue Jays would come back and win, 6-3. Luis Valbuena homered and gave the Astros an early 2-0 lead. The Royals would come all the way back and win the game 7-2 and clinch the Division Series. 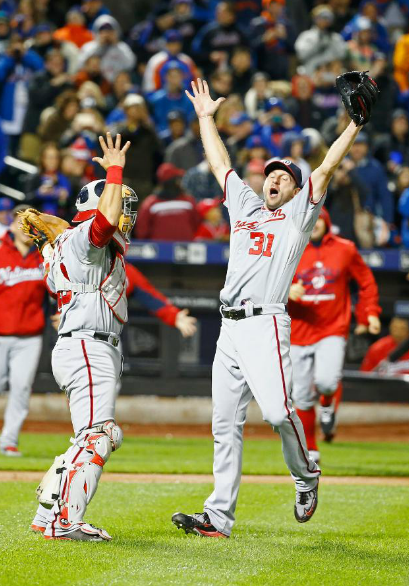 For the first time since 2009, a team other than the Giants or Cardinals will represent the National League in the World Series. And the Cubs have people in Chicago dreaming of their first World Series appearance since 1945. Meanwhile Clayton Kershaw forgot it was the post season. 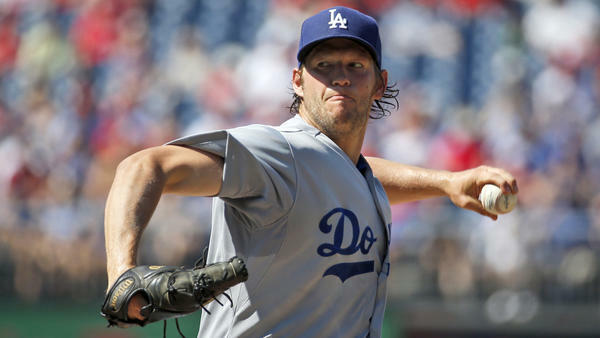 Clayton Kershaw changed the narrative with a dominating 7 inning, 3 hit, 1 walk, 1 run, 8 strikeout performance and earned the season saving 3-1 decision for the Dodgers over the Mets. Hector Rondon became just the fourth Cubs pitcher in history to clinch a post season series as he threw the final scoreless inning and recording the Division Series ending save over St. Louis, 6-4. Kyle Schwarber got 2 hits including a towering homer to help the Cubs clinched the Division Series, 6-4 over St. Louis. Justin Turner smacked a 2 run double that was the difference in the Dodgers 3-1 series tying victory over the Mets. Bartolo Colon pitched a pair of shutout innings in relief to keep the Dodgers from padding the lead. The Mets bats went silent and they lost 3-1. 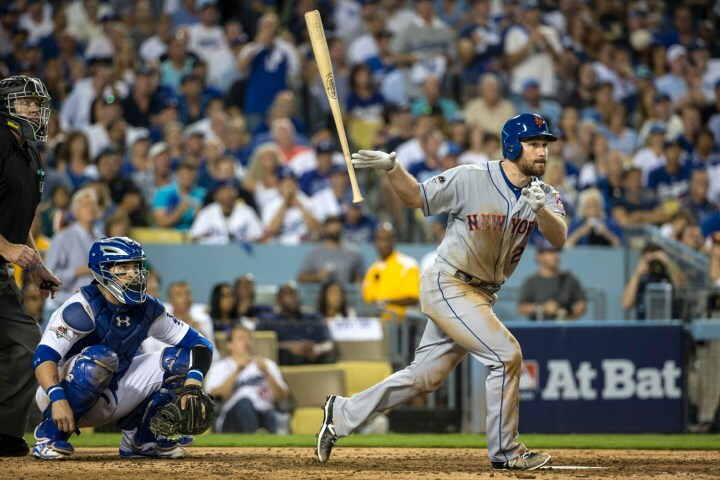 Daniel Murphy hit a home run that accounted for all of the Mets scoring in their 3-1 loss to the Dodgers. Stephen Piscotty reached base twice including a 2 run homer. 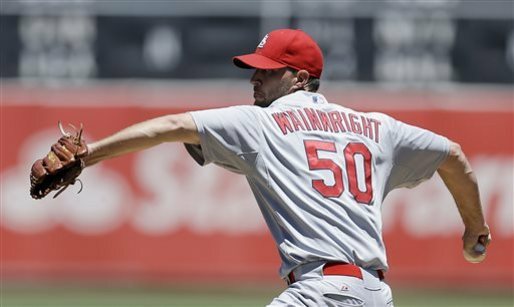 But in the end it was not enough as the Cardinals fell to the Cubs 6-4. Jake Arrieta did not have his best stuff. But his 9 strikeouts in 5 2/3 innings was enough to earn the 8-6 Cubs victory over St. Louis. Travis d’Arnaud broke open a close game with a 2 run homer, finishing the game with three hits, three runs scored and three RBI as the Mets demolished the Dodgers 13-7. 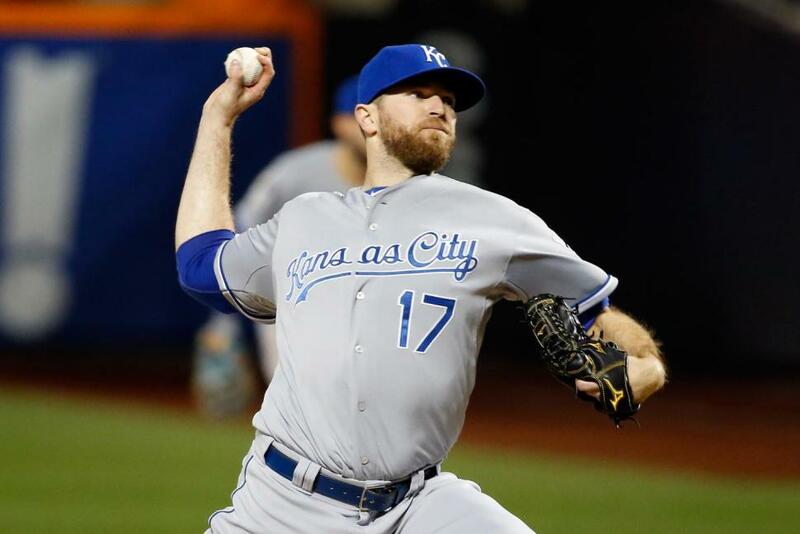 Wade Davis threw a 6 out save, squelching any hope for a Houston comeback and sealing the 9-6 victory for the Royals. R. A. Dickey allowed 5 hits, 1 run and no walks over 4 2/3 innings. He was taken out before he was eligible for the win, but was pitching just fine in Toronto’s 8-4 win against the Rangers. Matt Harvey may not have looked like an ace, but he pitched well enough to win. He struck out 7 in 5 innings, allowing 3 runs, 2 earned and got the 13-7 decision for the Mets over the Dodgers. Eric Hosmer went 2 for 5 with a homer and 3 RBI and helped the Royals dizzying comeback against Houston, 9-6. Kevin Pillar collected 3 hits including a homer, driving in 3 to help the Blue Jays stay alive in the series, 8-4 against Texas. Jorge Soler reached base 4 times, including a homer, driving in 2 and leading the Cubs in an unexpected slug fest win, 8-6 over St. Louis. Shin-Soo Choo got 3 hits and scored twice in Texas’ 8-4 loss to the Blue Jays. Carlos Correa went 4 for 4 with a double and a pair of homers, driving in 4, but also made an error in the Royals 9-6 come from behind victory in Houston. Adrian Gonzalez reached base 3 times, including a homer, in the Dodgers 13-7 loss to the Mets. Jason Heyward doubled and homered, driving in 2 of St. Louis runs but they came up just short against the Cubs, 8-6. Lance McCullers pitched into the 7th allowing 2 hits and 2 runs over 6 1/3 innings, striking out 7 along the way. The Astros bullpen would collapse, however, and Kansas City would take the game, 9-6. The Blue Jays win will ensure one more day where 4 games are played. Meanwhile I don’t think Houston has loved Dallas this much EVER! 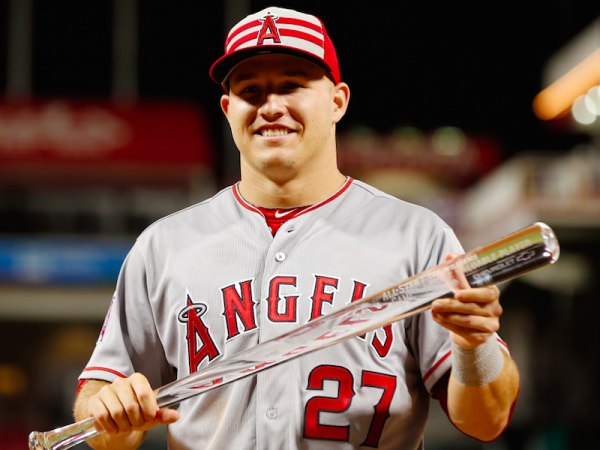 Chris Carter collected 3 hits including a double and a homer to lead Houston’s attack as they beat the Royals 4-2. Marco Estrada went into the 7th and finished with 6 1/3 innings, allowing 5 hits 1 runs and no walks and earned a season saving victory for the Blue Jays over Texas, 5-1. 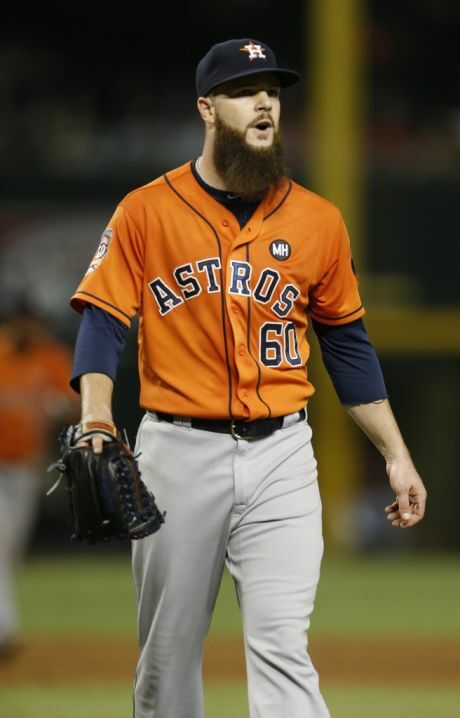 Dallas Keuchel pitched 7 strong innings, striking out 7 and allowing 5 hits, including a solo homer for his only earned run, and was credit with the Astros 4-2 win over the Royals. Troy Tulowitzki reached base 3 times, broke open the game with a 3 run homer and drove in 4 of the Blue Jays 5 runs as they won in Texas 5-1. Lorenzo Cain homered and walked but his Royals fell to the Astros, 4-2. Rougned Odor drove in the Rangers only run and helped turn 3 double plays in the field in the Blue Jays 5-1 victory. I could poke the flames and rattle some cages and say Chase Utley owned October, but even I won’t do THAT! Zack Greinke pitched 7 strong innings, allowing 5 hits, 2 runs on a pair of solo homers, striking out 8 and walking no Mets batters. He was the beneficiary of some strange calls that helped him earn the 5-2 victory for the Dodgers. 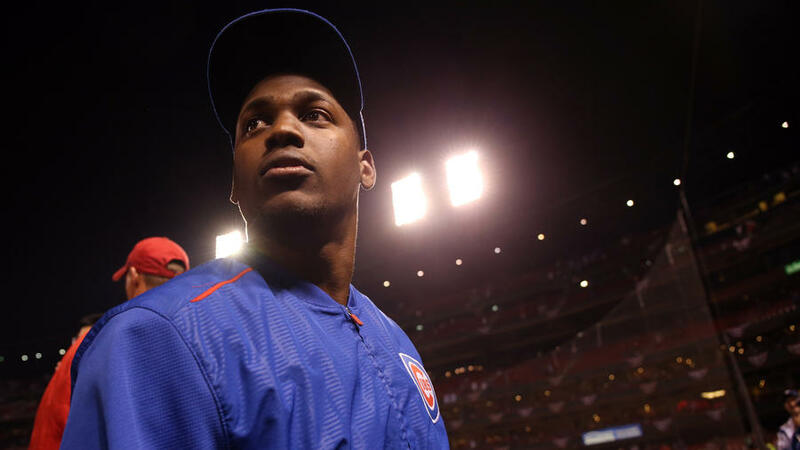 Jorge Soler reached base 4 times with a double, a homer and a pair of RBI to lead the Cubs past the Cardinals, 6-3. Justin Turner doubled twice, driving in one and scoring another in the bizarre 5-2 come from behind Dodger win over the Mets. Travis Wood threw 2 1/3 shutout innings, allowing 1 hit and no walks while striking out 2 and earning the decision in relief as the Cubs topped St. Louis, 6-3. 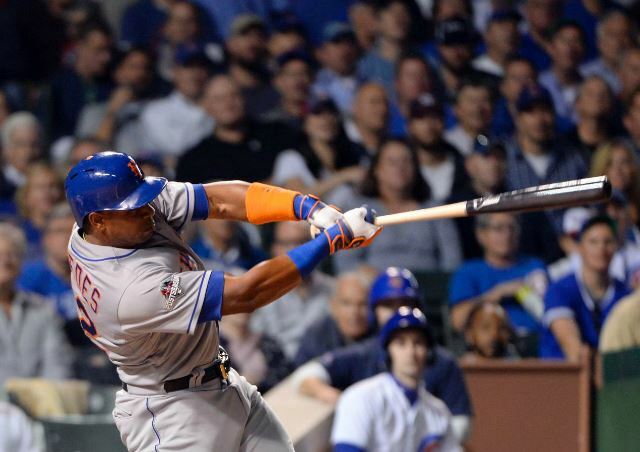 Yoenis Cespedes homered in the second inning to put the Mets on the board. They would be defeated in the 7th as the Dodgers rallied and won 5-2. Noah Syndergaard struck out 9 in 6 1/3 innings but came unglued in the surreal 7th inning mess and was charged with the 5-2 Mets loss by the Dodgers. Kolten Wong homered in the Cardinal’s 6-3 loss to the Cubs.